Welcome home to this turnkey ready, 3 bedroom, 2 bathroom Greenwich Village beauty. This home has gorgeous natural oak hardwood floors throughout, dual pane windows and ceiling fans in every room. As you walk through the home, you will notice the pride of ownership from the tiled bathroom floors, to the beautiful hickory cabinets in the kitchen. Natural light seeps through not one, but two large skylights, each equipped with solar powered shades and a battery backup. 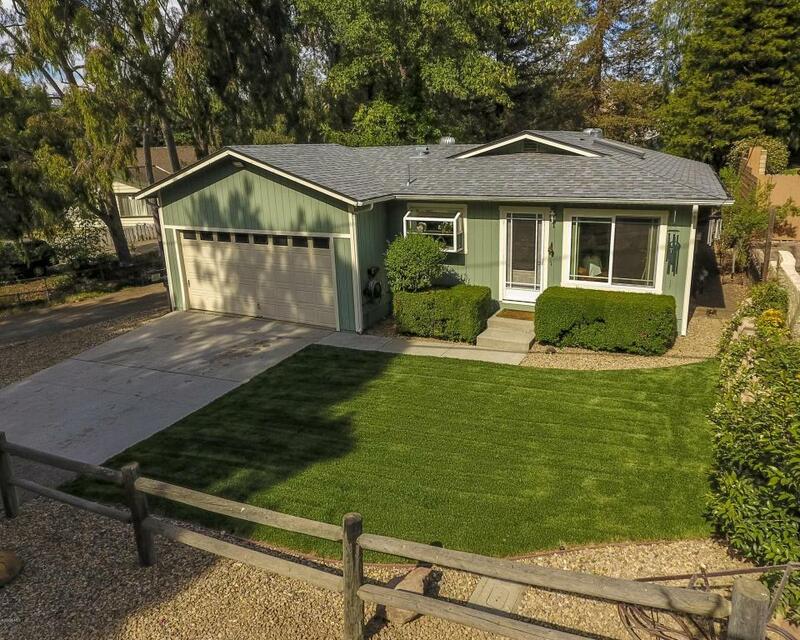 Don't worry about the Conejo Valley summers, as this house comes with both A/C, and a whole house fan, ready to cool you down enough to relax in the private jacuzzi in the large backyard. Entering the backyard, you will notice, not only the large deck and space but the unique shed, and large gate entry. Don't miss this single-story charmer, this house shows impeccably, with great location near the Oaks Mall, restaurants and more!